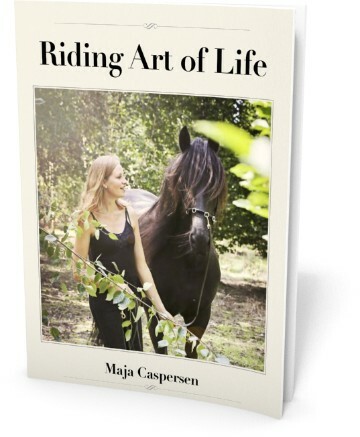 Riding Art of Life | Passion, feeling and knowledge. 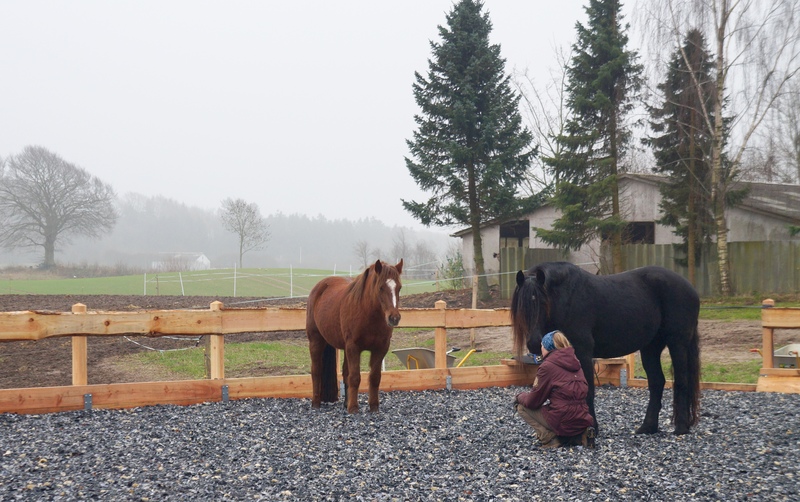 To support our horses in movement and to create a connection, we can realize it beautifully, by practising the embodiment of our intentions. 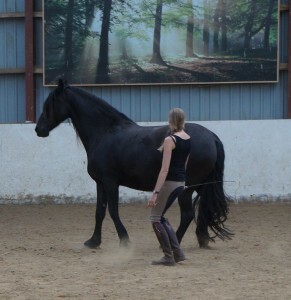 I am happy and honoured to guide my students in the ‘Riding Art of Life -education’ to explore energy and the communication in their body-language in longing. 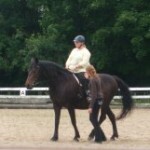 – Forward energy and calmer energy for the horse. – Give that energy a clear direction. – To not only think of ‘leading’ but feel both following AND leading at the same time. – How to be aware of what the body already communicates clear, and what specific movement quality to improve. It is the space between the tones in music, which makes the melody. If there was no space between the tones, it would only be noise! 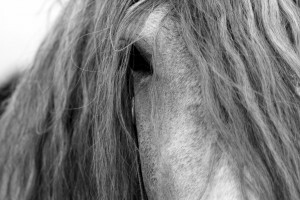 Like being with horses and being in life…It is sometimes when you are silent, calm and senses that you really feel the joy of the life itself and just being together…. 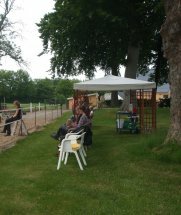 So lets stop and have a break! 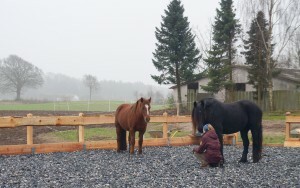 But years later by working with my senses, the meditation in the intimate meeting between humans, my body-awareness and being with horses, the answer came by itself in my life…. Breaks and space…. Very simple and pure bodywisdom.. Like day and night, breath in and out, death and birth, and like the pulse from the heartbeat. It simple to be happy… but it can be difficult to be simple! 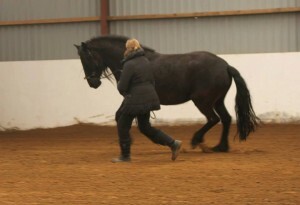 Straightness training is not only for the horse. 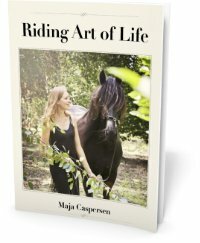 Here at this link you can listen to the podcast about how the riders feeling and awareness influences the techniques in the seat aids. Clik here to listen to the podcast. Ps. I hope you liked the podcast. You are welcome to share the link and my e-book with your friends at facebook. 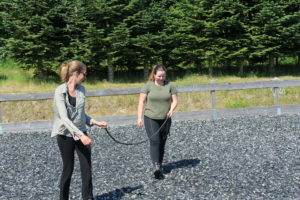 What can make a horse person force, push and be aggressive to his or hers horse??? 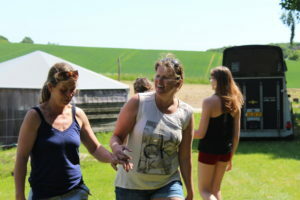 To move, enjoying and being together…..
Maybe is that all what every ‘horse-people-hearts’ were longing for from the beginning? Not to feel any pressure from ‘need to perform’, ‘am I good enough?’ ‘what is expected from me’ is the biggest freedom. I hope you will enjoy the book. Fill in your e-mail address and click Subscribe to receive a download link for the book. When you download the book, I will send you an e-mail whenever I have something I want to share with you, e.g. training tips, videos and news. NB: I won’t spam you and you can unsubscribe at any time. 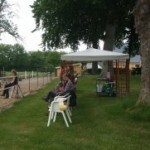 I said: “One could imagine that there is not existing right and wrong with horses? 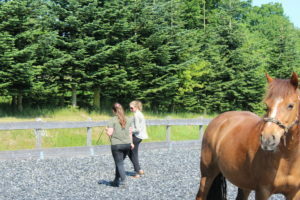 Of course we prepare the horse well physical and mental for everything we ask him for. 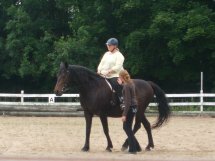 But what you call “wrong” we could call training and what you call “right” we could call leading or dancing with the horse. Horses do not judge in right or wrong they just experience and do!… This is one of the things we can learn from them. 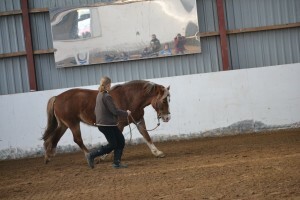 “As the blind person touches the object before him very softly and lightly with his fingertips in order not to interfere with the work of the sensitive nerve ends by too much pressure, so it is the rider’s first obligation to keep soft and natural those parts of his body with which he feels his horse.” Gustav Steinbrecht. These words describes the core in my “Balance, Feel, Ask -Riders seat program” for the seat education in the Academic Art of Riding. Lovely weather and the nicest surroundings.